I’m not sure what I was possibly counting on from an Australian WWII movie made in the early 80s and starring a 25-year-old who was otherwise busy playing Max Rockatansky, but Attack Force Z didn’t live up to whatever limited expectations I had, heading the complete opposite direction toward utter disappointment. I heard Mel and Sam, I saw Pacific war theater, I felt like the film might have a legitimate shot, but I never stopped to wonder why I hadn’t come across its title before, or why so few others had either in the past 36 years. The answer is simple; this isn’t a good movie, and although you could call it a vehicle for a couple stars, I wonder if they’d risk having their names attached to it by doing the same. World War II wages on, and the Australians conduct a guerilla war behind enemy lines with the Japanese. The special unit is called Zed, ‘Z’ for us Americans, and its mission is simple; covertly maneuver among the shipping lanes of the Empire of Japan, report all movement back to headquarters, and sabotage whenever possible. Sink ships, kill lookouts, discover plans; Z was in charge of the secret operations and dirty work that lent itself to high casualty rates and brutal close encounters. 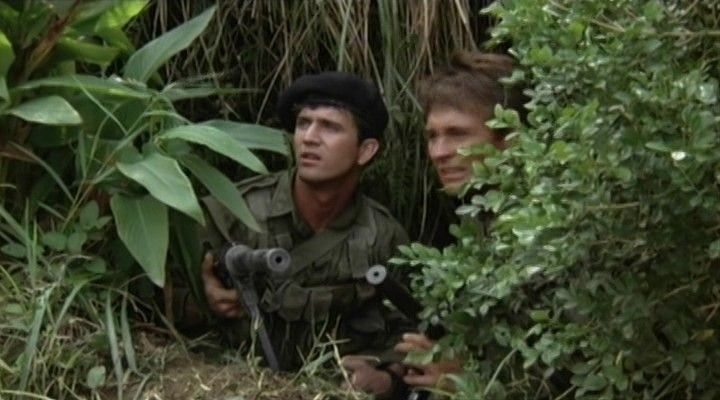 This film is a summary of their duty, a fictional account of what it was like to be a member of Special Unit Z, to fight in the jungles of the Pacific islands far from your friends and too close to your enemies. Dropped off near land by a submarine and paddling the rest of the way in canvas canoes, a small group of Australian, British, and Dutch soldiers begin a dangerous mission among a peaceful people, but deep in the heart of Japanese territory. Their goal is to find the wreckage of a downed airplane, discover what happened to the men aboard, and either rescue or kill them; no loose ends to divulge important secrets. The idea is to sneak in unseen, to remain invisible, to find the plane, and then to escape before enemy forces even know Z was on the island. But you know what they say about best-laid plans, and in wartime, no maneuver goes as imagined, and no rescue costs no lives. Mel Gibson was just starting out as an actor and making a name for himself as Mad Max when he filmed this movie, a side project that didn’t become anything more than a memory, and a bad one at that. Sam Neill makes an appearance as well, having not yet become the star that we know him as today. And also, JP Law pops up, a man you might recognize from Barbarella, where he played an angel who didn’t make love because angels are love. Anyway, that’s the highlight of the film, the trio of actors that you’ve seen do better in other roles, because you sure aren’t going to see them do anything impressive here. It’s not really their fault, they weren’t given much to work work, and they definitely didn’t create anything on their own, the result of which was plain, and sad, to see. 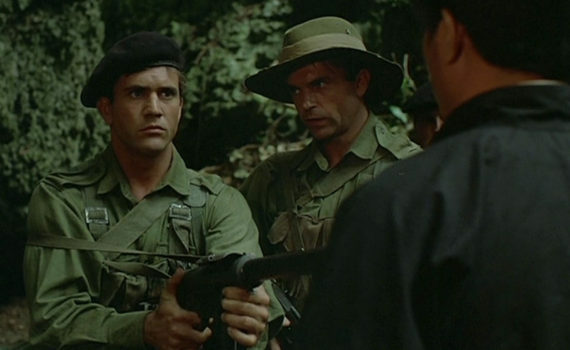 Attack Force Z is an awful adaptation of the American commando genre, a cross between John Wayne who came before and John Rambo who would come after, a weird mix that wasn’t fun to watch or cool to see. I don’t know exactly how Australians do their war movies, but this felt like a reach from the start, like an attempt to put something on film that never needed to be there and probably couldn’t work. 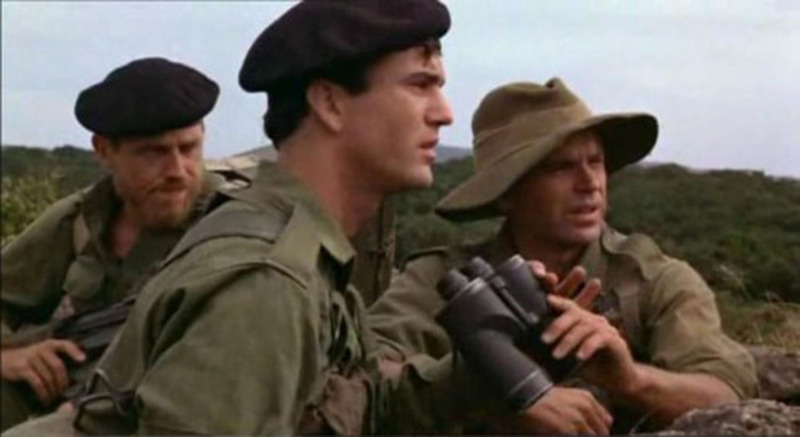 It’s a great true story, this brigade, fascinating stuff, and maybe Mel Gibson should reanimate the idea now that’s he’s a director, but Tim Burstall definitely wasn’t the man for the job. The movie is boring, amateur, more a skit than real cinema, and never convinced audiences to buy in or to even pretend that we care. This isn’t a hidden gem, unfortunately, just a rock with the smallest amount of shine necessary to catch your eye. Video – With an aspect ratio of 1.85:1 (1080p Widescreen), the video quality of the Blu-ray disc is fairly terrible. This 80s flick did not transfer well, especially in low-light situations, and the movie is consistently grainy throughout. Of course we all understand the year that this movie was filmed, we can’t be too hard on it, but visually it just isn’t appealing. Audio – The Blu-ray was done in English Dual Mono, with an option of English subtitles. That’s it as far as the audio, and there isn’t really much to remark upon here other than an awful soundtrack that always seemed to be playing the wrong music at the worst times. Extras – There are only a few special features on the disc. The Z-Men Debriefed is a 27-minute, behind-the-scenes segment with some background on the movie. A Theatrical Trailer is available. And there is also an Image Gallery. Skip It. 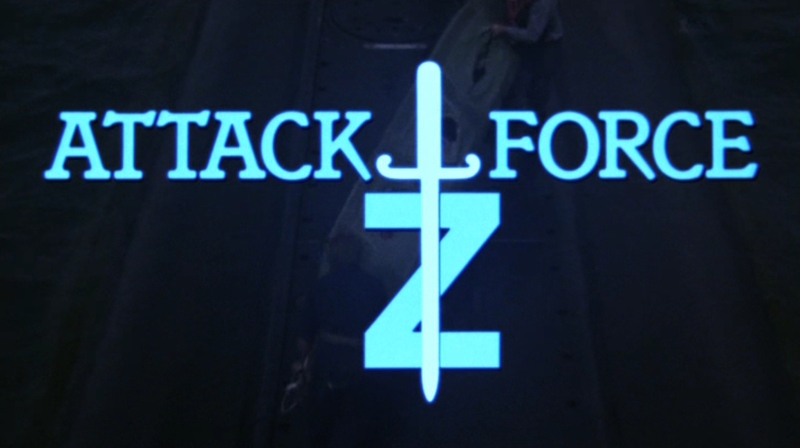 Sometimes you stumble across something wonderful when you dive into an actor’s filmography, but that’s isn’t the case with Attack Force Z, a war movie that seems a copy rather than an original, a drama that leaves all the emotion at the door. It was nice to see these actors in younger roles, and one piece of trivia from the featurette that amused me was that Sam Neill worked in movies but wasn’t an actor, until people told him he was so handsome he ought to give it a try. That actually explains him as a professional pretty well, and you know, he’d eventually get into the groove, some of his work as he ages is the best I’ve ever seen from him. But back to the movie; you are probably best avoiding it. The video is poor, the audio is nothing, the extras are few; don’t look for technical marvels here. And don’t expect an overlooked classic either; search for that elsewhere.